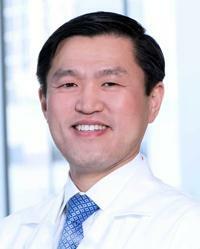 Dr. Min Kim received his undergraduate degree from Cornell University and his medical degree from Johns Hopkins School of Medicine. During medical school, he received the prestigious Howard Hughes Fellowship to perform research at the National Institutes of Health (NIH). After completing medical school, Dr. Kim attended Beth Israel Deaconess Medical Center, a teaching hospital of Harvard Medical School, where he completed his general surgery residency. After his general surgery training, he received a thoracic surgery fellowship at The University of Texas MD Anderson Cancer Center where he completed his training in cardiothoracic surgery. Dr. Kim is currently a surgeon at Houston Methodist Hospital, which he joined to bring his expertise in minimally invasive thoracic surgery and thoracic surgical oncology. In addition, he has been appointed as Assistant Professor of Surgery at Weill Cornell Medical College, Assistant Member of the Houston Methodist Hospital Research Institute and Adjunct Faculty of Surgery at the University of Texas MD Anderson Cancer Center.